Mount Edgcumbe Country Park covering over 865 acres was the earliest landscaped park in Cornwall. Today it is made up of open parkland, Grade I listed gardens and 55 Grade II and II* listed structures. Incorporating part of the South West Coastal Footpath, Mount Edgcumbe is the ideal destination to enjoy this beautiful part of Cornwall. There are a number of trails for your to explore catering for all ages and all abilities. The 4 mile (6.5km) circular historic landscape walk visits some of these structures which have recently been conserved and consolidated, using traditional materials. 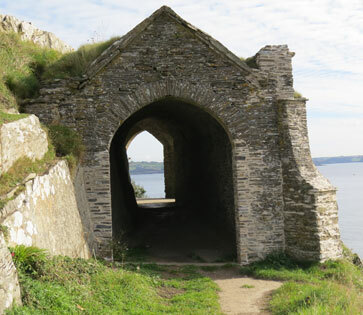 The walks range from a circular jaunt taking in most of Mount Edgcumbe’s many fascinating attractions to a three-hour trek from Cremyll to Maker Heights. Conducted camellia walks in the National Collection at Mount Edgcumbe, or explore on your own on the interpretation trail. This trail has been designed to introduce you to 17 interesting tree species within the Country Park.